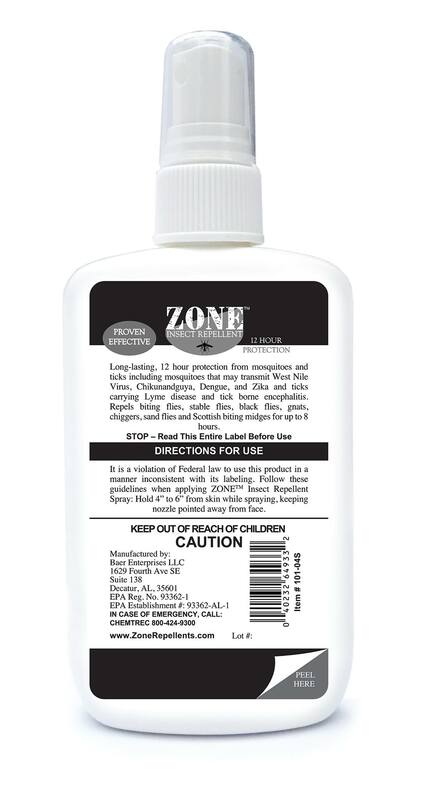 Zone Insect Repellent Spray - Picaridin-based DEET FREE insect repellent in a convenient 4 oz pump spray bottle. 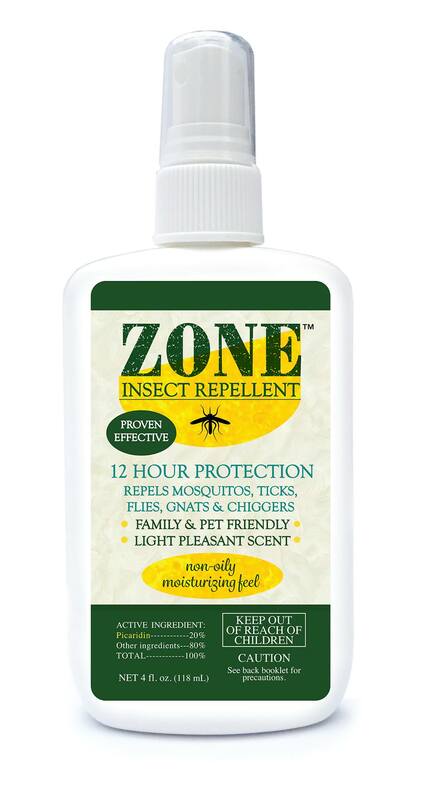 Long-lasting, 12 hour protection from mosquitoes and ticks that may transmit West Nile Virus, Chikunandguya, Dengue, and Zika and ticks carrying Lyme disease and tick borne encephalitis. Repels biting flies, stable flies, black flies, gnats, chiggers, sand flies and Scottish biting midges for up to 8 hours.